“Why do you believe in Jesus Christ?” Many Christians have been asked that question. Unfortunately, it is sometimes the case that those Christians cannot give good reasons for their belief. 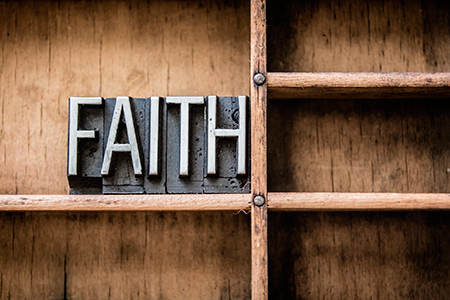 They may respond by saying, “Because I have faith in Jesus.” But the idea most people have of the word “faith” is not what the Bible says about it. You see, when most people use the word “faith,” they mean a strong feeling in their heart that is not based on reasons or evidence. They think that since they have such a strong “faith” (feeling in their heart), then their belief must be the truth. The problem with this way of thinking is that people in other religions use the same idea of “faith” for their beliefs. Many people would say they have a strong feeling that Jesus is not the Son of God. Muslims would say they have “faith” that Mohammed is the prophet of God. Just because someone has a strong feeling about something does not mean they have a good reason to believe it. The truth is, the faith found in the Bible is always based on real evidence. Let me show you how that works. During the time that Elijah was a prophet, the evil King Ahab began worshipping the false idol named Baal. Many of the people of Israel followed their wicked king and left the true God. Elijah arranged a contest on the top of Mount Carmel. Four hundred and fifty prophets of Baal came to meet him. Elijah explained that the prophets of Baal should build an altar and put a sacrifice on it, and he would build another altar to the true God and put a sacrifice on it. Then, the prophets of Baal would ask their god to send fire and burn up their sacrifice. Elijah would pray to God to send fire to burn up the sacrifice on his altar. Whichever god (or God) sent fire was the true God. All of Israel gathered to see which God would send fire. The prophets of Baal cried out to Baal. They danced around. They cut themselves with knives and lances. Since Baal was just an idol, and not really a god, nothing happened for hours and hours. Then, during the time of the evening sacrifice, Elijah prayed to the God of Israel. The prophet did not have to wait long. God sent a blast of fire from heaven that burned up the sacrifice, burned up the stones, and burned up the dirt around the altar. When all the people who were watching the contest saw the fire burn up Elijah’s sacrifice, they fell on their faces and said, “The Lord, He is God. The Lord, He is God” (1 Kings 18:39). You see, Elijah knew that the prophets of Baal had a “strong feeling in their heart” that Baal was a true God, but they did not have any evidence for their belief. They did not have the kind of faith that the Bible talks about. When Elijah presented them with real evidence, they could form a true faith, based on the fact that God sent fire down from heaven. God has always provided plenty of evidence to prove His truth. The Creation shows His power. The fulfilled prophecies, miracles, and resurrection of Christ prove that Jesus is God’s Son. The correct predictive prophecy and perfect factual accuracy prove the Bible is God’s Word. The truth about Christianity has never been based simply on strong feelings and emotions. 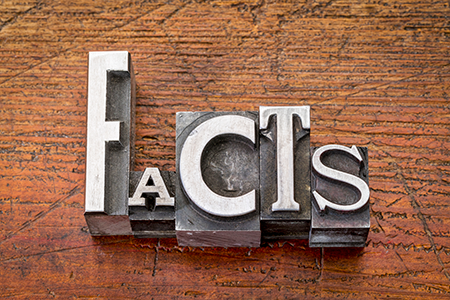 Unlike every other religion in the world, Christianity has always been founded on facts and evidence that can be used to show that it is the one true religion of the one true God.